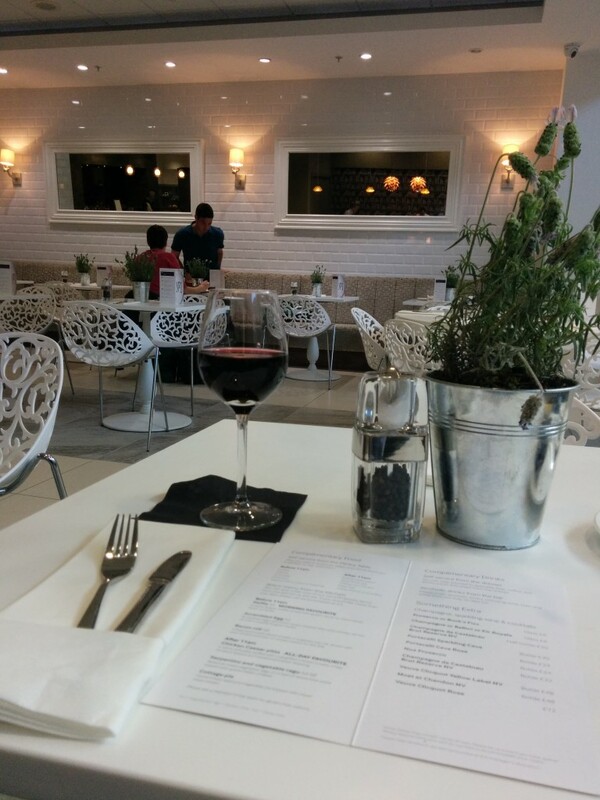 This is our review of the No 1 Lounge at Edinburgh Airport. 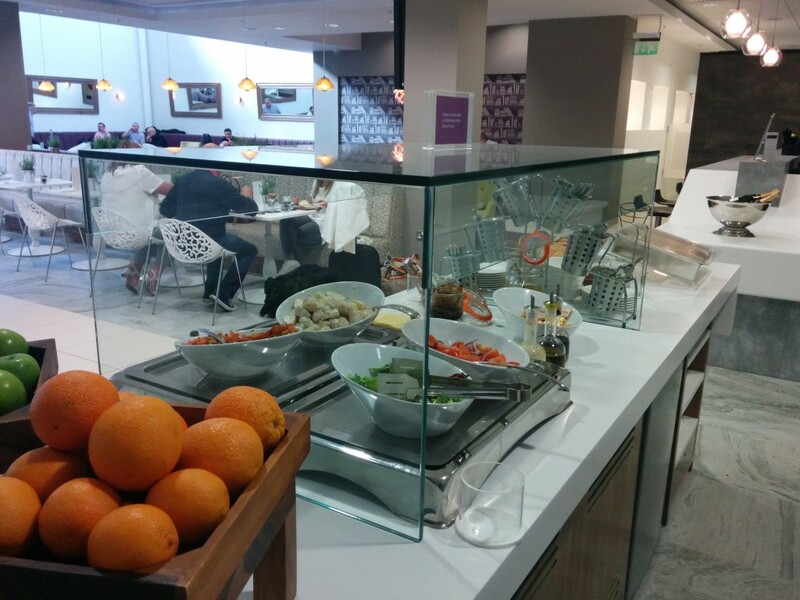 I posted some photographs the other day from my visit to the No 1 Lounge at Gatwick North. I was very impressed as I wrote in my review. 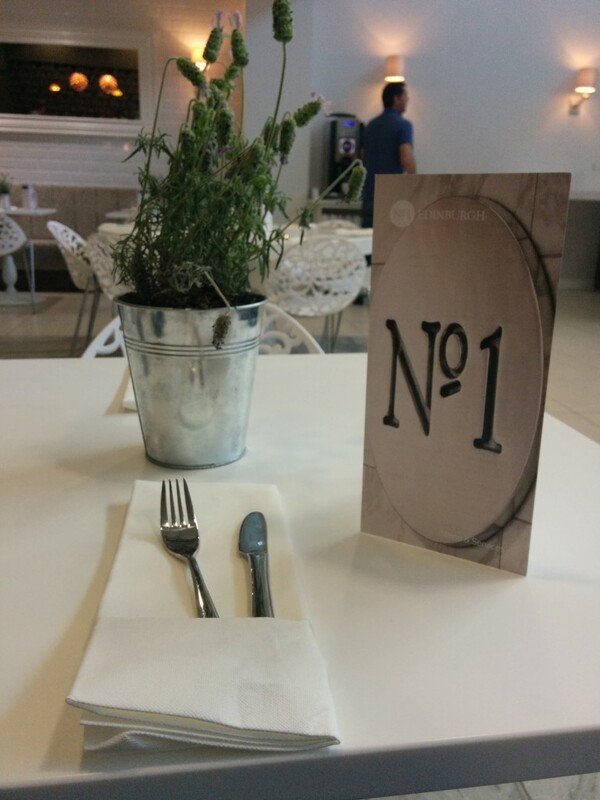 No 1 Lounges also opened at Edinburgh a few weeks ago and this is our review. 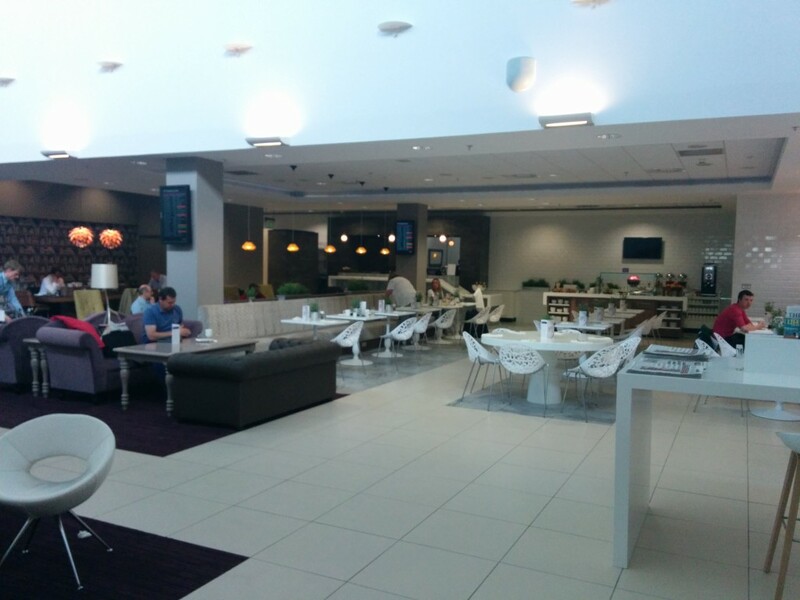 The lounge is on the site of the old British Airways lounge opposite Gate 10 – it is actually more convenient for BA flights than the new ‘official’ BA lounge! Reader Alan, who posts in our comments on a regular basis, took a few photographs for me. (Better quality picture than my own efforts at Gatwick!) It does look impressive as you can see below. As with Gatwick, your first item of ordered hot food is free but you need to pay for additional portions. Some drinks are free but champagne and premium spirits are charged. 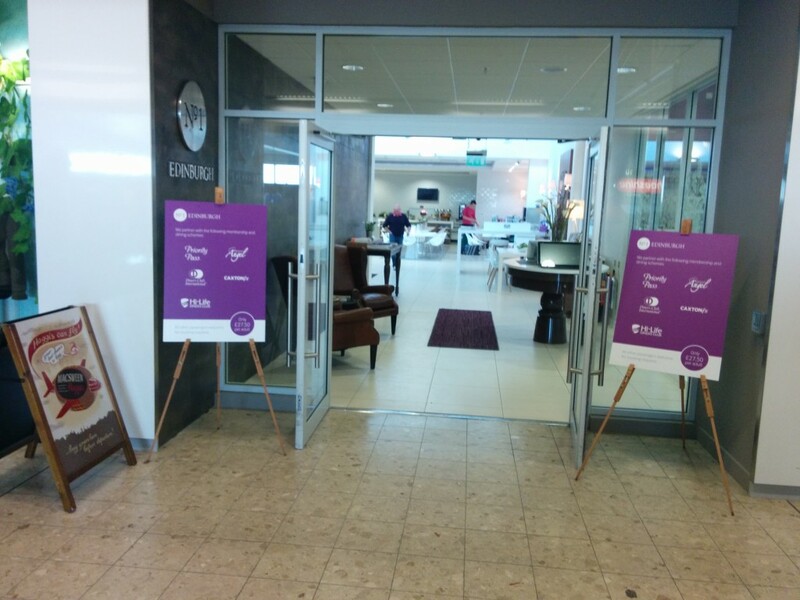 I have also heard that Servisair have taken over the running of the FlyBe lounge at the other end of the terminal. Not sure if they have made any improvements – the FlyBe lounge was pretty dire. Interesting – totally agree re the direness! Only redeeming feature was the proximity to the FlyBe gates! Off topics….has anyone had their CX Gold renewed by CX after the AMEX deadline for new sign ups? I’ve had a couple of emails recently from people who were extended. For flights from Edi to LHR, the new No.1 and Aspire Lounges, combined with Priority Pass access to the United Airlines lounge in T2 make Little Red look a good option for next year when CX status expires given the lack of non BA lounges at T5. Can testify that Chicken Caesar Pitta is very tasty. I agree it’s a great lounge. Really hilariously, I’m actually in the pictures! (Pink top). Must have been last Friday they were taken? But I was in EDI last Sunday too. Haha – Hi Jack 🙂 I did my best to try and take photos without too many folk in them but was difficult to avoid. I think we were probably on the same flight down to Heathrow – it was the 30th May I took them. Hope you had a good trip, I was off to Luxembourg the following day. 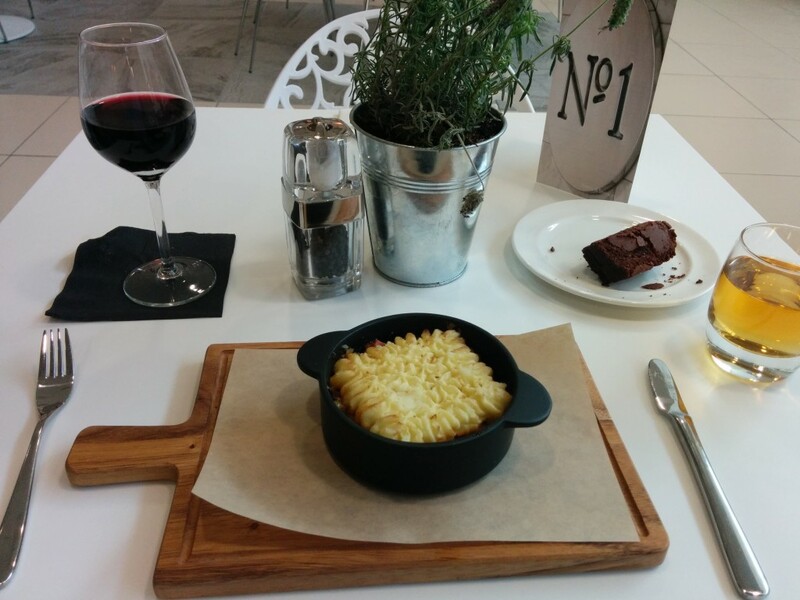 The No1 food choices in Gatwick were tiny… Definitely not suitable for anything other than a snack. Have things improved portion size wise in EDI? For anyone that doesn’t have free access to the No 1 Traveller Lounge you can get access through Travelzoo at the moment for £20 and that includes a glass of champagne. Not a great offer but a small saving. 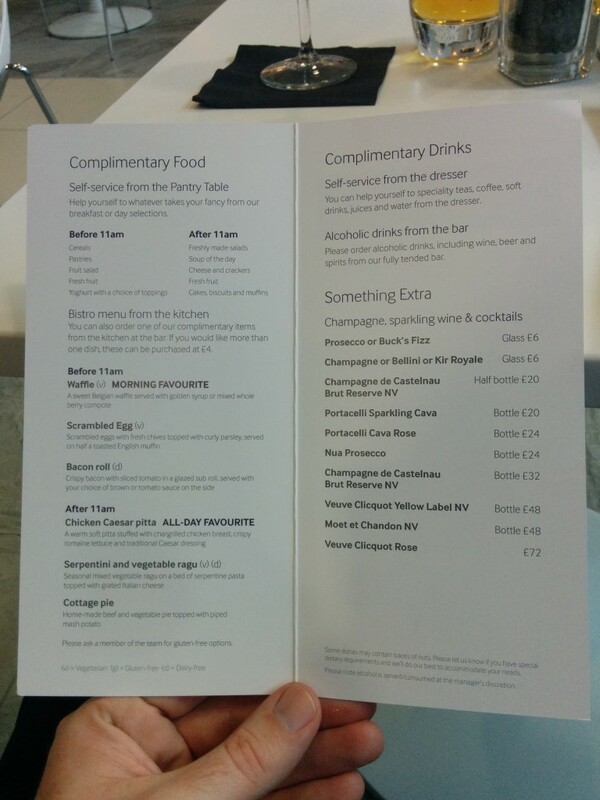 It is also valid at other No 1 Traveller Lounges except Gatwick!